At night, apply a generous amount—enough to cover your entire face—to clean, damp skin using a massaging, circular motion. Leave on skin for 10-15 minutes and then gently rinse skin with warm water and pat dry. Follow with Shineless Oil-Free Moisturizer for oily, acne-prone or combination skin, or Humidify Deep Moisture Cream for normal to dry skin. Use 3x per week or as tolerated. In the morning, apply a apply a generous amount—enough to cover your entire face—to clean, damp skin using a massaging, circular motion. Leave on skin for 10-15 minutes and then gently rinse skin with warm water and pat dry. Follow with Peptide-Rich Defense Moisturizer with Broad Spectrum SPF 50 Sunscreen. This the best detox I’ve ever spent money on really cleans your face and gives a new complexion! I have sensitive skin so I used as directed! Using it everyday is ideal but it doesn’t suggest. Forever customer! I really enjoy this mask. It’s a good clarifying mask that is a great addition to my routine. The smell is lovely and it’s a very enjoyable product to use. I have been using this product for about two weeks now and even my friends at work have noticed a difference. It leaves my skin soft and smooth. I’ve added this into my Cosmedix skin care routine and so far since using the brand my skin health has improved. I don’t know if this specifically has done anything, but I think it has worked in conjunction with my other Cosmedix products! Yay! Love how it makes my skin feel and it always helps the look of my pores. Great consistency for application. It easily removes also. This is the best face mask I have used. It is a gentle product. I tried an uber expensive skincare line which ended up making my skin worse than ever. I've never really suffered from acne, an occasional zit around my cycle, but my previous skincare gave me full time acne. The detox mask, along with purity clean and clarity serum, have brought my skin back! I'm so grateful! Refreshing product that plays well with others. Easy to use, great scent, comes off easy and not too drying. Not miraculous but does well enough. I love using this mask all over my face and as a spot treatment for breakouts. I wake up with my skin looking WAY less inflamed. Its amazing. I’ve now used the Detox Mask 4 times (I also use Purity Clean as a mask 1 times a week & Pure Enzymes 1 times a week). Since incorporating the Detox Mask into my routine (along with Benefit Balance, Purity Clean, Purity Solution & Benefit Clean in conjunction with my Tretinoin .025%) my skin has improved 100% in texture. Sometimes, on the night I’m not using my retinoid, I’ll dab on the Detox Mask on a big spot & let it dry & leave it on overnight. In the morning the acne spot is greatly reduced. Like all Cosmedix products I have not regretted buying this mask. My favorite skin care product. The only product to ever clear out my pores completely! I’ve never had such clear small pores. I love this mask! It detoxing without stripping my skin! It is a beautiful color. I do it a couple times a week. I would definitely recommend the Detox Charcoal mask. It went on smooth and left my skin feeling super soft. It had a pleasant scent and was a perfect consistency for a mask. I use it several times a week. Love it! The detox mask has done wonders for my skin! You can use it as an all over mask or a spot treatment. When I’m having breakouts or even just a spot here or there I whip this stuff out! I throw it on at the beginning of my shower and work it off when I’m finished. It brings everything to the surface and really does detoxify your skin. I would and have gladly recommended this to others who struggle with acne. 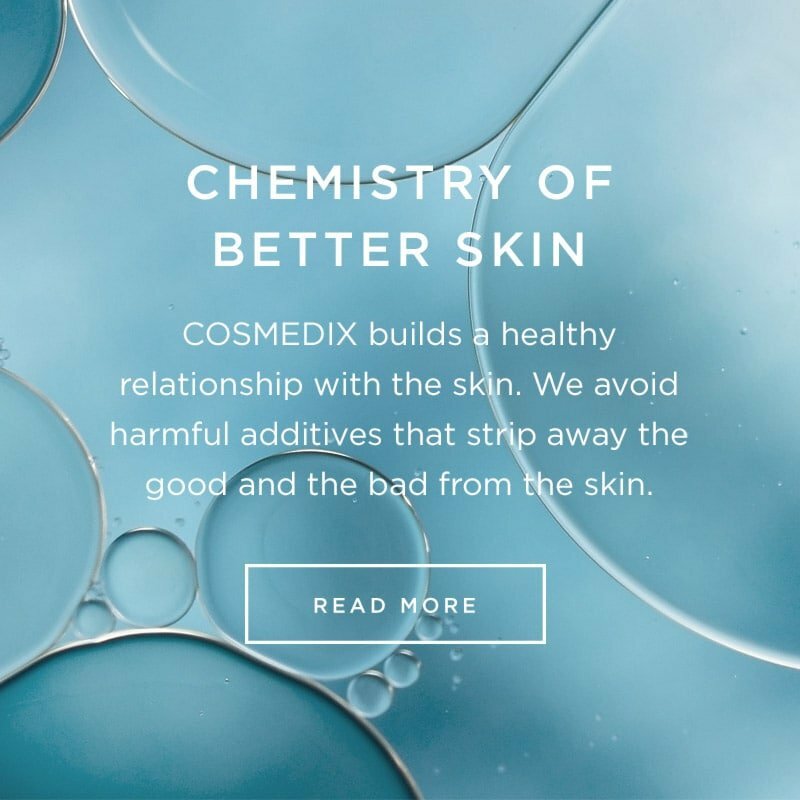 I love using cosmedix products and detox is no exception. Love the way my skin feels after using it! Will continue using it and have already told several friends about it!!!! So far I like this mask. Not overly drying. I used it as a spot treatment on a couple breakouts. This is the best charcoal mask I have ever used! I had been dealing with persistent acne on my face for two months. I decided to give this a try and amazingly after 3 uses I was seeing my acne begin to disappear! I’ve ordered two more since then! Awesome product! Would definitely recommend. Best charcoal mask I have ever tried. I have sensitive skin and this mask does a great job at leaving skin clean without irritating it. Great mask….my skin always looks great after using it - makes my complexion brighter and clearer. Detox is amazing, my face feels extremely clean after using this mask. The detox mask might be my favorite product that I use, it takes no more than 15 minutes, it's super easy to wash off, and leaves my skin literally glowing. Love it! After using Detox by Cosmedix, my skin feels much healthier and looks brighter. I will definitely be adding this to my weekly Cosmedix routine! I love this product! My pores are constantly clogged and this mask has worked wonders! Leaves my skin feeling soft and smooth. Love the way my skin feels! The product smells great! I love the way the Detox makes my skin feel... silky, smooth and CLEAN! Say Yes to the Detox Mask! My skin has been going through a weird funk and this detox mask has been great. I truly feel that it has helped draw out some impurities while leaving my face less irritated & refreshed! I love this mask. I have combination skin. My T zone is prone to break outs and this Detox mask is great for helping with that. I also suffer from sebaceous hyperplasia and feel that this mask along with the clarity serum have helped to shrink the appearance of my problem areas. My overall impression is that detox is a great product. Love detox, it goes on smooth. I leave it on for an hour or two and then I rinse it off. My skin is so fresh the next day. I struggle with sensitive, acne prone skin and this didn’t aggravate it. Worked well. Loved this mask! It makes your face so soft and definitely cleared up my skin! Loving all my new cosmedix products! I love masks! And this mask made my skin feel young and healthy again. I love this product! It leaves my skin even toned and purified after rinsing. I have combination skin and it doesn't leave any part of my face too dry or too oily. Definitely recommend if you need a little refresher pick me up in your weekly routine! This mask is a miracle! My skin felt smoother with less impurities immediately. I love this product! Will be recommending to friends/family! I just love it! This is the best charcoal facial I have ever used. Gentle on skin, not drying and really cleans your pores. They are invisible after use. I combine this with a Restore facial afterwards and my skin glows for days. I'm new to the Cosmedix line and love all the products I have used so far. I love dabbing just a bit of this product on any congestion my skin has. I leave it on overnight and wake up refreshed. The key is to apply it AS SOON as you notice the first sign of pimples. I use twice a week and I love it ! This mask is amazing at drawing out impurities! I have used it on my face as directed; and also on a stubborn pore as suggested. By the next morning I was able to treat the pore and get it healing in no time. I don't use a whole lot of charcoal products, but was very interested in this one from the information I read, and if the great ingredients! 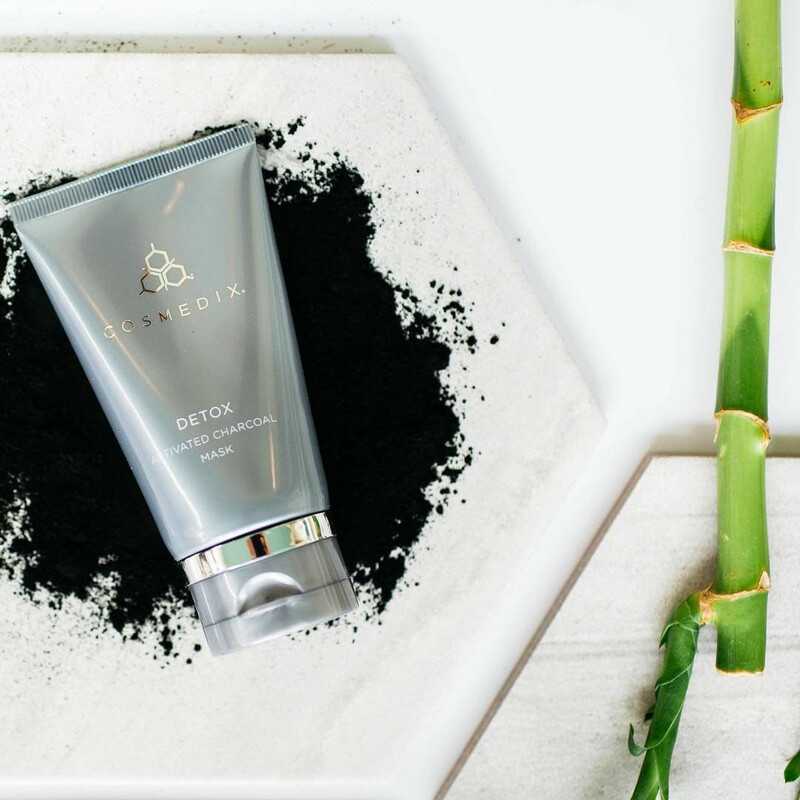 The texture of this Detox Activated Charcoal Mask is creamy, with just a slight grain to it. I love that it's a gentle detoxing exfoliate, but then can be left on as an even deeper detox! My skin felt smoother, brighter, and more clear! I love this mask. I clears my pores while keeping my skin moist. I’m in my 60’s & it’s not too harsh for my sensitive skin.